This piece draws on work being undertaken with Innovate UK, Arts Council England and the Knowledge Transfer Network. Inspired by the Royal Academy of Engineering’s really rather impressive Thinking Like an Engineer, I thought it would be interesting to test out some ideas developed as part of the Arts and Technology pilot project, being run by Innovate UK, ACE and the KTN. 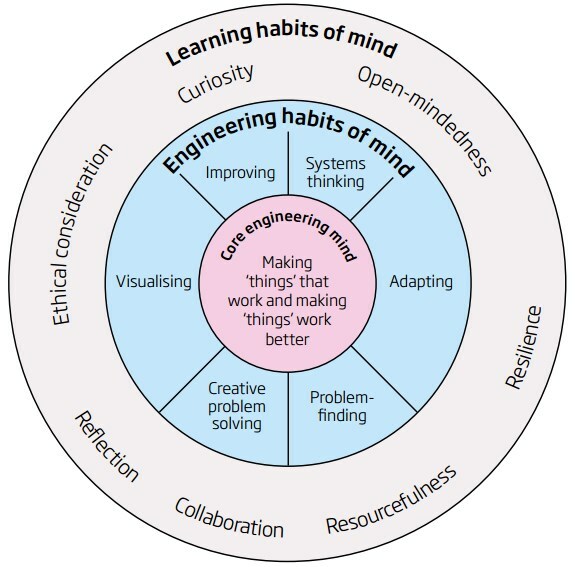 The RAE report identifies a number of skillsets which practising engineers deploy, and – more interesting I think – attitudes and “habits of mind” which they exhibit. These all contribute towards a set of characteristics which the RAE believes should be encouraged, and which should be reflected in the education and training engineers receive. Building on this, and drawing on the evaluation framework devised for the above ACE/Innovate UK project, I have been thinking about the habits-of-mind of creative entrepreneurs and innovators. Just to be clear – this is not about creative people per se – although, of course, creative entrepreneurs display many similar characteristics. For the purpose of this work, a Creative Innovator is defined as someone who works as part of a team or a business which is developing and testing new ideas, products, projects and services. S/he might be a co-founder o f a start-up business, or might be a team member in an Innovation unit of a big company. Either way: what makes this person tick (or at least what I want to understand about what makes this person tick) is his/her desire to support the creation of new things. 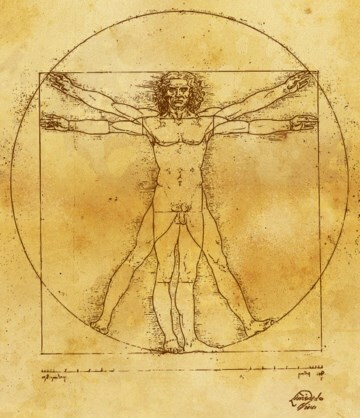 Resilience: the strength and tenacity to constantly iterate and re-invent. Personally-driven – but also wanting to make some money. How might these be mapped onto a version of the RAE visual…? 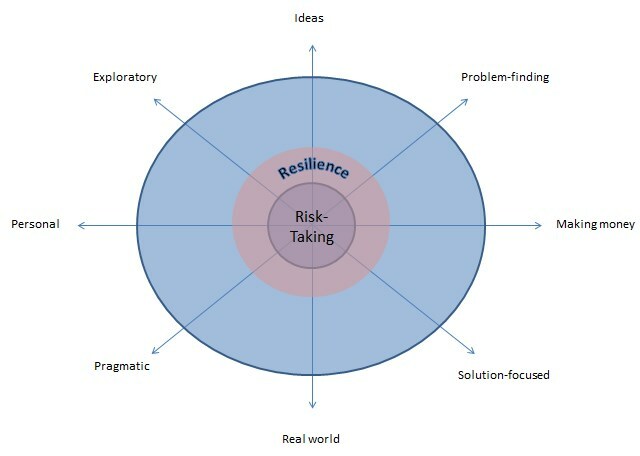 The graphic below mimics that for the Engineer, with risk-taking and resilience central attributes of the creative innovator. It also seeks to highlight the tensions which the innovator is constantly grappling with. Some of the elements of this appear to be characteristic of the ‘creative’ habits of mind inherent in some entrepreneurs: exploring complex social and other challenges, and pursuing personal missions. But on the other hand, aren’t these also classic attributes of any successful entrepreneur? 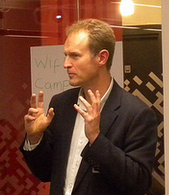 Others – focusing on solutions and being pragmatic – are typical of technologists in particular. But any successful business needs to be willing to cut corners and get things done in a way which, ultimately, suits the customer. But the aim is to present a dynamic map – with the creative innovator constantly re-orienting him or herself to manage the different tensions and challenges inherent in the innovation process. It’s a starting point, I think – worthy of further observation and consideration as the programme proceeds over coming months. Next postWhat is Theresa May reading?